Designed by architects Cornelius W. Rapp and George L. Rapp, the Chicago Theatre opened October 26, 1921, becoming the flagship of the Balaban and Katz chain. 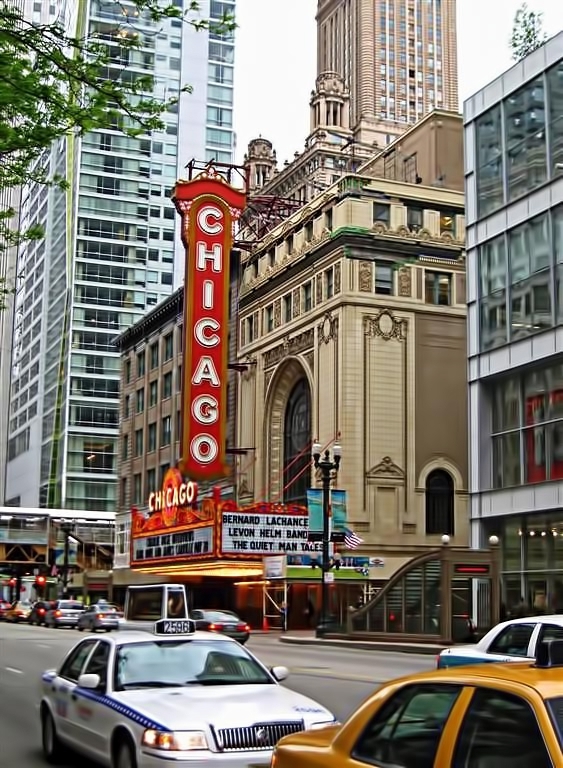 “The Chicago Theater is built on an ‘L’ shaped site. 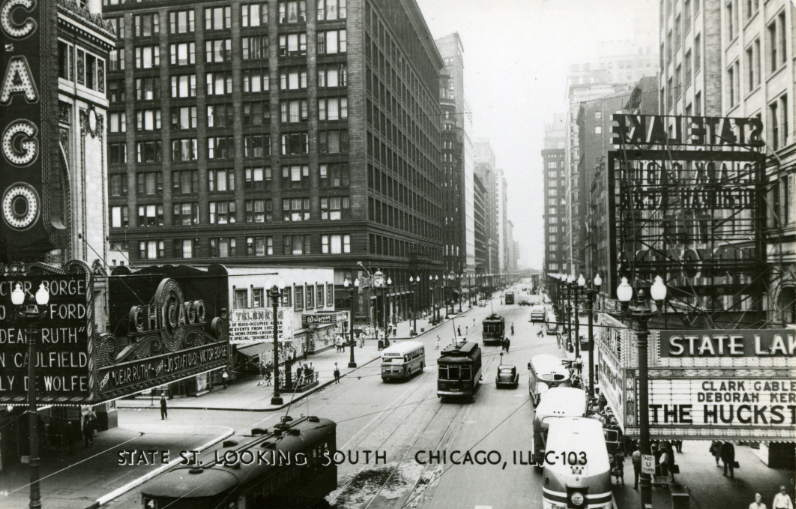 Sixty feet faces State street and 175 feet faces Lake street. The State street property is used exclusively for a lobby. It runs back ninety-six feet. This lobby or grand foyer, is a veritable jewel box lined with lustrous imported marble and set with ivories and gold. Great marble columns support the various promenades and an inspiring circular marble staircase rises majestically at the extreme end and runs upward several stories, interrupted only by the various landings. The ceiling proper is made up of a single exquisite dome. “Inside the vast auditorium the visitor is confronted with an amazing sight, the theater is built amphitheater in [?] That is, it is wider than it is long, [?] is divided into three floors, the main floor, mezzanine and balcony. The mezzanine is made up of an exquisite horseshoe arrangement of boxes, tastily carved and artistically decorated. Of particular interest are the individual boxes running up the sides of the balcony floor, to the topmost part thereof. This is an innovation in theatrical construction [?] gives the theater an intimacy which is unusual in large playhouses. The architecture and the decorations follow the Louis XIV period, in lines of the [?} having been inspired by the magnificent Palace at Versailles. “”The furniture is of Louis XIV period and was made of the finest materials France and Italy could supply. They are beautifully covered with silk velours and tapestries and the exposed wood parts are covered with gold leaf. Comfort together with luxury. That is the dominant note of the theater itself, and in keeping with this idea the theater chairs are air-cushioned, commodious and noiseless. They are the height of comfort. The Chicago Theatre placed on the National Register of Historic Places in 1979 and designated as a historic Chicago landmark on January 28, 1983. 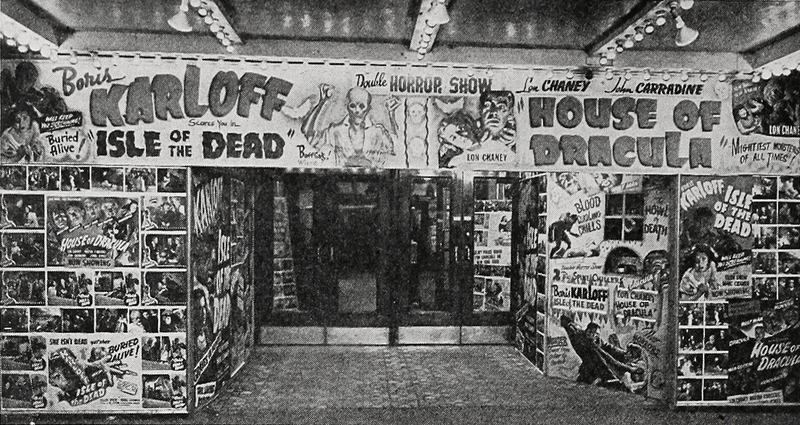 After closing in 1985, the Chicago Theatre Restoration Association purchased the theatre and after an extensive restoration reopened in 1986 with a performance by Frank Sinatra.